The SOREL® Danica Bootie will have you stomping through the season in total style! Waterproof leather upper. Padded collar. Side zipper closure for easy on and off. Synthetic and canvas lining for a comfortable fit and feel. Die-cut memory footbed with a synthetic top cover for added underfoot comfort. Molded rubber midsole. Rubber-wrapped heel for added style and stability. Molded rubber outsole. Imported. Measurements: Heel Height: 2 1⁄4 in Weight: 1 lb 2 oz Circumference: 12 in Shaft: 5 1⁄2 in Platform Height: 1⁄2 in Product measurements were taken using size 9, width B - Medium. Please note that measurements may vary by size. Weight of footwear is based on a single item, not a pair. 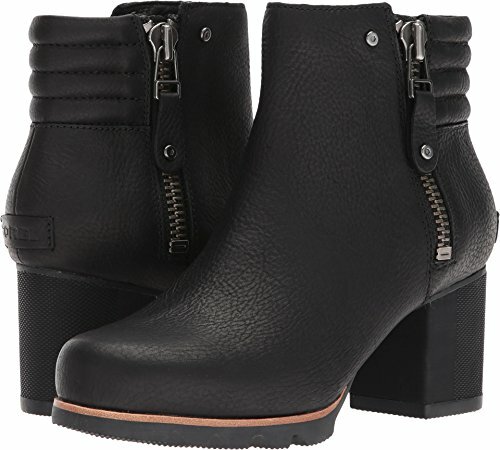 The SOREL® Danica Bootie will have you stomping through the season in total style!